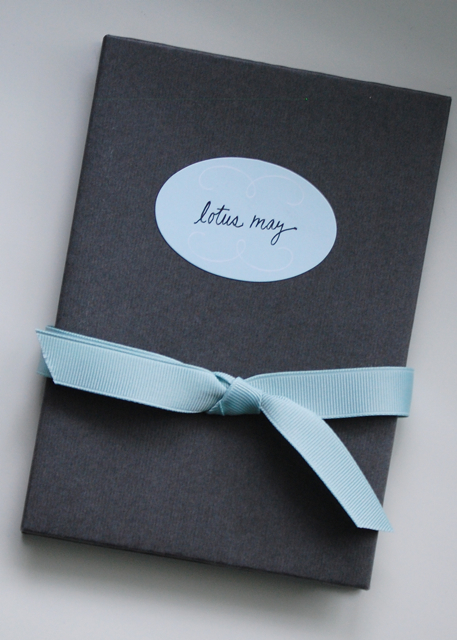 Yesterday, iVillage posted an older project I did when Lo was just a babe, back in the very beginnings of this blog. 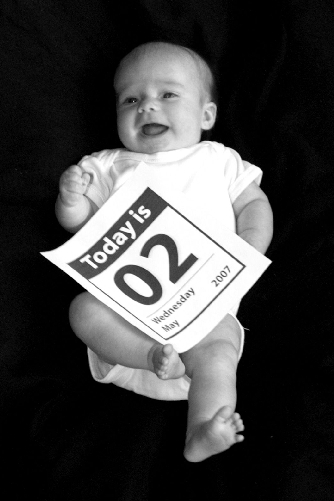 After she was born, I photographed her holding a calendar page once a month (on her birth date, the 2nd) until she was a year old to record how much she was growing and changing. 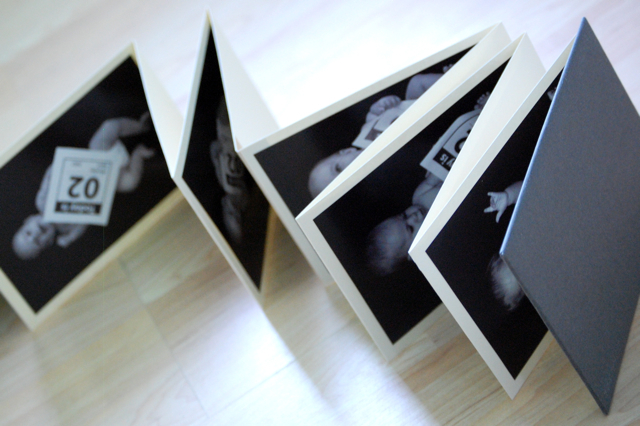 At the end of the year, I had all of the photos printed and I put them into an accordian-fold album. Looking back, I have to smile. I remember getting our first 'nice' camera the year Lo was born, but I didn't know how to use it. I propped her up against an enormous black backdrop every month and she'd try to eat the calendar page, crumple it up, spit up all over the place or crawl away. She's only four years old, but she's grown up so fast. It's pretty fantastic to look back at these photos now. And to remember everything about that little baby. I have a friend that's doing something like this too - she takes a photo of her son every week on a different background (lots of really cool graphic fabrics) and then Photoshops how many weeks old he is across his white onesie. Such a cool way to remember their earliest days!